Patios are a perfect way to enjoy your home or a great opportunity to entertain guests. Patio sizes range from a small sitting area to read the morning paper or a multi-level outdoor living area to accomodate numerous guests. We can custom design the perfect patio and outdoor living area to suit all your wants and needs. Features to include and think about are fire pits, water features, lighting, cooking surfaces, grills, and exterior heating options. With the correct design and installation, all these features are a great way to add value to your property. 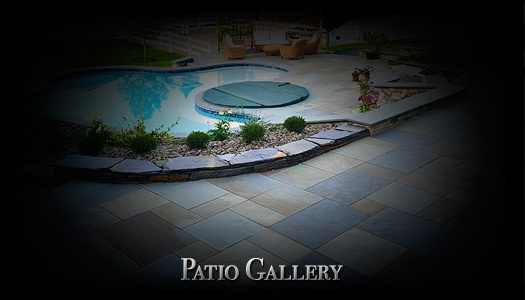 To see photos of our previous patios and outdoor living spaces please visit our gallery page. 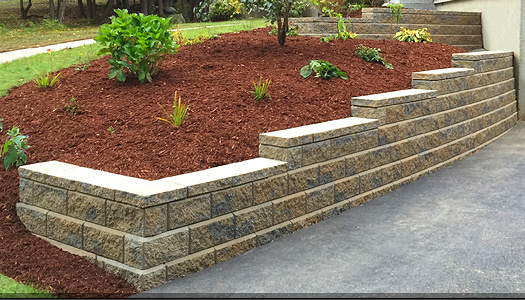 Retaining walls can be an excellent way to achieve more usable space, retain an important feature on your property, or provide a design element in your landscape. 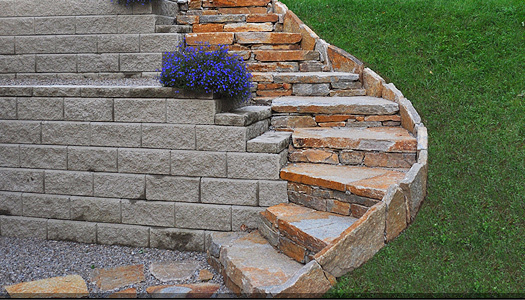 There are many choices of material for retaining walls - both natural stone and precast products. 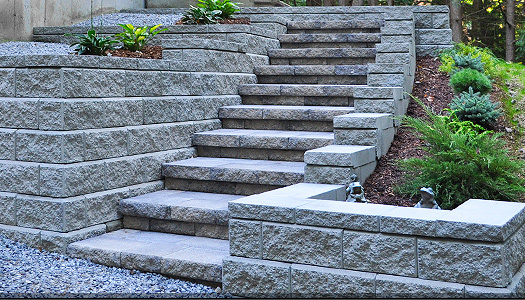 We make sure all of our retaining walls and free standing walls are installed correctly. The correct site preparation, drainage, and base materials are imperitive to building a long-lasting wall. 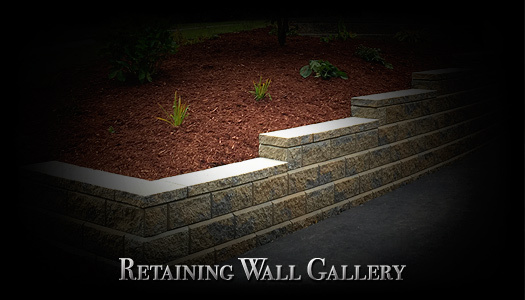 We work with all local suppliers to offer a wide variety of retaining wall choices. To see photos of our previous retaing walls please visit our gallery page. A walkway is the perfect way to greet company from the driveway, street, or from another part of your yard. With the right choice of color, texture, material, and shape a walkway can be a integral part of your landscape design. The design and look of your walkway is the easy part, installation is the most important aspect of a functional walkway. We ensure all of our customers that we go the extra mile to excavate properly, put down the correct base materials, fully compact the site, and install the required final edging. There are numerous choices for walkway materials out there. 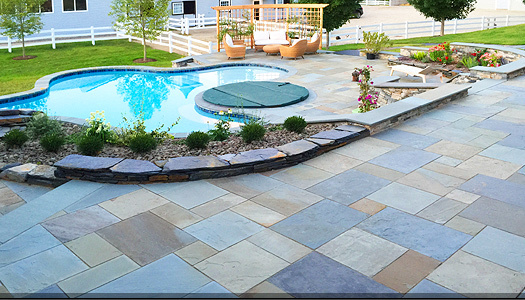 We have a full knowledge of all the natural stones and paver systems provided in this area. 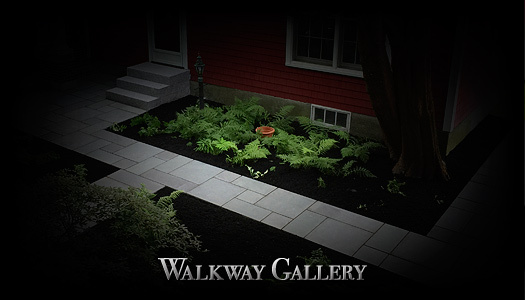 To see photos of our previous walkways please visit our gallery page. 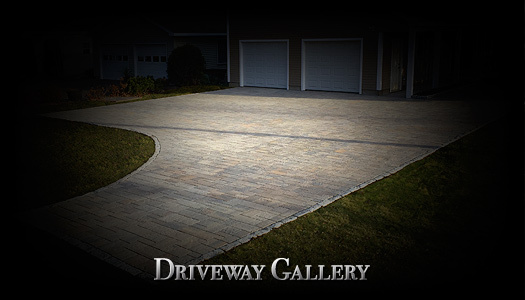 Our custom driveway installations add both funcionality and curb appeall to your property. We have all the necessary equipment and skills to handle your custom driveway installation. We incorporate the perfect colors, shape, dimension, and surrounding landscape features in every driveway project to give your property an elegant yet functional appeal. 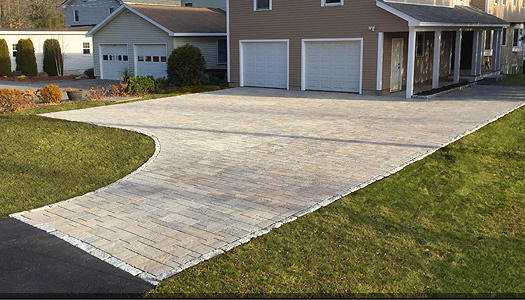 Our driveway installations in Keene NH include paver driveways, cobble stone, custom apron options, gravel driveways, and hard pack driveways. To see photos of our previous paver driveway installations please visit our gallery page. Stonework is a custom feature of landscape design that both adds an aesthetic appeal and a great deal of value. Whether it be free standing natural stone walls or artistic stone veneers, we have the experience to install these features properly. We work with all stone providers to offer a variation of different stone colors, textures, sizes, and shapes. With our background in art and design, we will be able to design and construct a beautiful finished product. Our stonework services include both dry-layed stone and mortared stone. 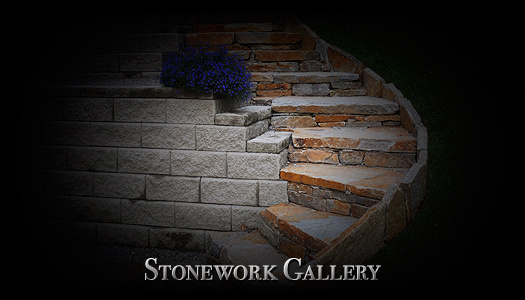 To see photos of our previous stonework please visit our gallery page. Steps and landings are an excellent way to meet your new walkway to your home. 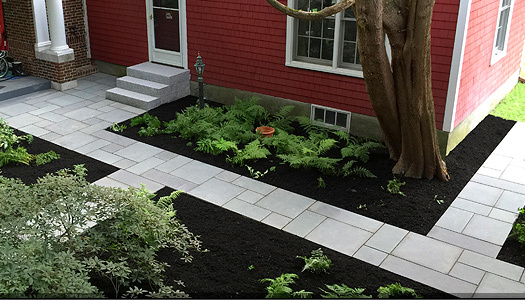 Steps and landings can be constructed to perfectly match the material used on your walkways, home, or landscape features. Construction of steps and landings is imperative for a long lasting product and proper water drainage. We make sure all of our steps are constructed properly with the correct rise, tread length and depth, base materials, and pitch. 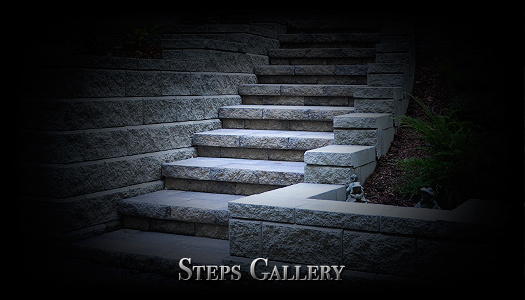 To see photos of our previous steps and landings please visit our gallery page.